T11 - It's big, it's heavy, it's tough and it's VERY VERY good!! Last August at the Paris IPP my friend Shane introduced me to Rainer Popp. I have corresponded with him once or twice over the years but never met him. He is a very low key man! Quietly spoken, unassuming and not prone to boasting. This is a very marked contrast to the loud enthusiastic whirlwind that is Shane Hales, puzzle master extraordinaire and master locksmith. When Shane tells me something, I listen! He knows what he talks about and if he doesn't then he says so. 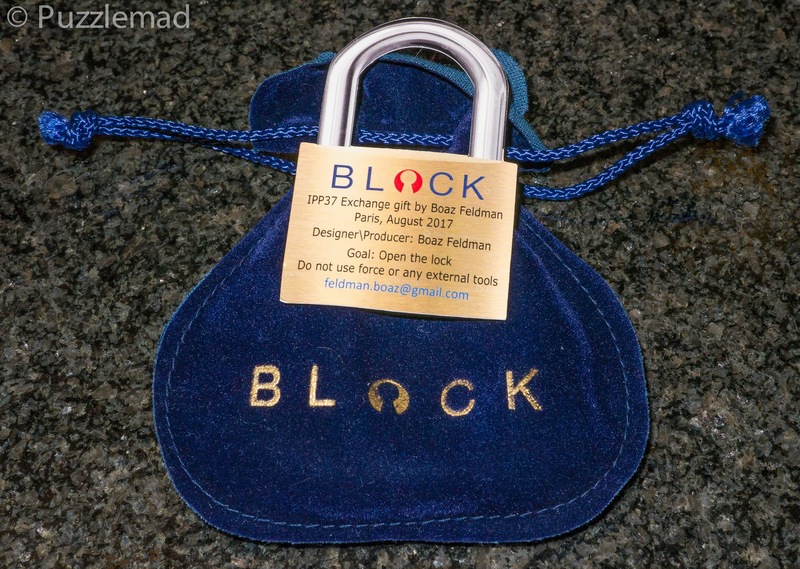 Shane knows locks....he said at IPP that the Popplock T11 was the best puzzle lock in the world...bar none! OMG! I got to have a look at it whilst I was there but was not allowed to play with it (no one was). We were told that it would be coming out in early 2018 and would be more limited in number than previous editions. So we waited, and waited, and waited a bit longer. Shane taunted me periodically by saying how fantastic it was and how I had to be sure to buy a copy. 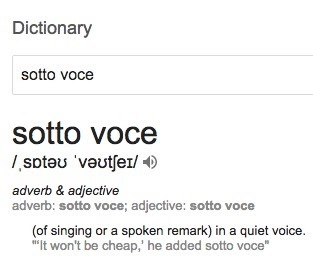 He also said 'sotto voce' that I should expect a rather large hole in my bank balance. 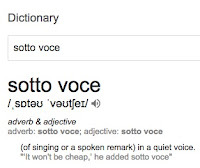 Even Google knew it was going to be expensive (see right - when I checked the spelling for that expression it produced the perfect result!) Shane said that no matter what the price, it would be worth it! I spoke to Wil and asked him to reserve me one if I was not getting one direct from Rainer. 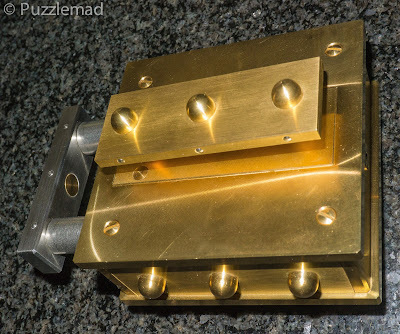 From early this year, after the newsletter came out, pretty much the entire hungry lock collecting puzzle bunch emailed him and asked for a copy and we were told that there was going to be far less than usual production run and they would be released in batches as they were finished. I saw quite a few people receive their copies and became hopeful that I would be next. Nope! No email...wait longer you impatient man! Eventually, Wil managed to get his batch from Rainer and mine was released to me with a bill that makes you hide your emails from your wife! This thing is soooo big and soooo heavy that the postage alone from the Netherlands is €25! "Get that out of my kitchen right now - if you break a tile or the granite then I will break all your puzzles and then break you too!" She's a strong woman is Mrs S and with the Scottish ancestry in her, she is extra violent too! Whack! Ouch! 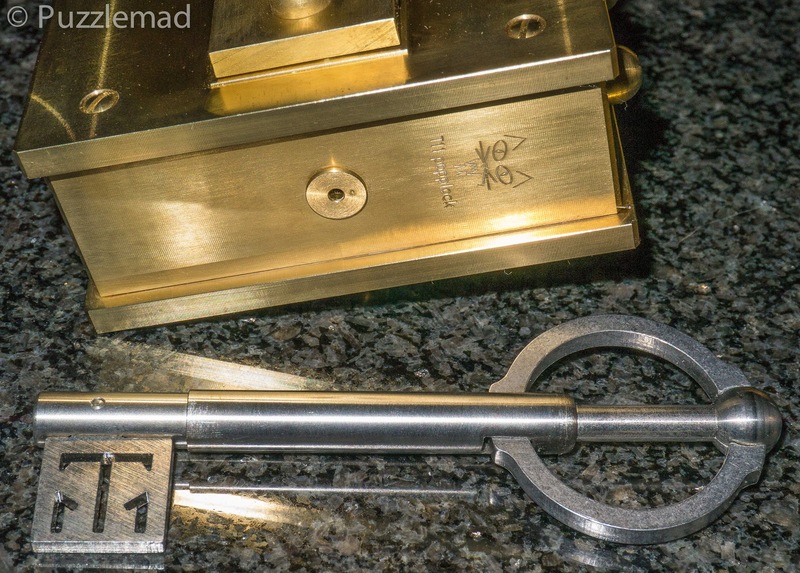 The first thing that is noticeable is that there is a rather lovely key, complete with T11 etched into it, but no keyhole to insert it. Interesting! There are 2 faceplates on the front and back and they obviously move or come off or something because there is a teeny tiny wiggle in them but no obvious way to accomplish this. This beast is steel and brass and screws and rivets with no obvious place to start. My fingernails definitely did not enjoy trying to pry those plates off! Not terribly bright! The instructions are specific - open it with no banging or force. I proceeded to play with it each evening in my armchair after dinner whilst watching TV with "her". There are lots of places to focus your attention on and nothing really moves. After 2 evenings I found a small movement - just a rotation and only about 120º. Yay!!! On my way! Nooo! It did nothing at all! It is amazing how many times I can twiddle the same thing over quite a few days and hope that something new will show up....it never does! After another few days, I found something else which would move. Yay! A whole 7mm! And....still nothing further. With my 2 "thingies" moving I played with them for ages! Of course, I got absolutely nowhere. After about a fortnight I found something else - my "thingies" worked together! Yay! And....still nothing further! I am really not very good at locks OR Rainer is a master! Both of those statements are true. Playing with this puzzle is quite a workout - my arms and fingers were aching from constant attempts to do something. The cat was not amused when I rested and leaned it against him. Knowing that this happens doesn't tell you anything you didn't expect! The mechanism for this is astounding! I had made a major breakthrough and found somewhere to use the key! Yes, I know! The key never opens the lock! The key goes in with a lovely satisfying click and turns just a bit and....nada! Think©, you idiot!! So I "thunk" for quite a long time! I thunk and thunk and thunk and did come up with an idea. I couldn't implement my idea so I headed back to Shane who encouraged me to continue in that approach. It was possible to feel things using the key. AHA!!! Something new happened. Suddenly things were happening and I seemed to be on my way. Except the keyhole was no longer usable. Now what? Push, pull, prod! Aha! again. At this point, I cannot give much more away but let's just say we have a Danlock moment and a leap of faith. Shane encouraged me to do what I wanted to. Suddenly there were some more things going on for approximately 270º before I was trapped and I could neither go forward nor back. Rainer had put a trap in this thing too! Aaaaargh! Shane warned me that this trap existed but he had not been caught in it. Of course, I am nowhere near as bright as him and it was inevitable that I would fall into every trap! I spent another evening playing in this trap. You need good light to notice something crucial and when you do it's not immediately obvious what it's for. It took another few days experimenting with this new feature before I realised it interacted with another feature which was obvious from the very beginning of unwrapping the puzzle. Yes, another Aha! moment! I was out of the trap and I was hoping that I was in the home stretch to opening the behemoth - my arms were now killing me! A further week went by and I needed to ask Shane for yet another clue. He suggested that I move it to a certain position and play like that. I always do as I'm told and after another few days of feeling all sorts of incomprehensible things going on inside I suddenly had an urge. Normally I am not allowed urges in the house but I was very surreptitious about this one and BAM! there was a big CLICK! OMG! 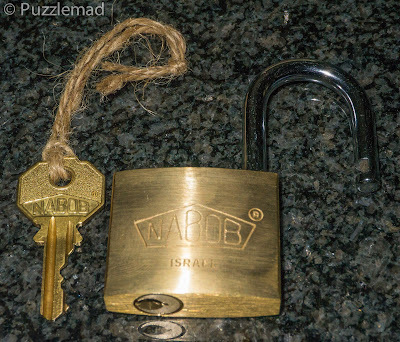 It's the Carlsberg of puzzle locks - "probably the best in the world!" 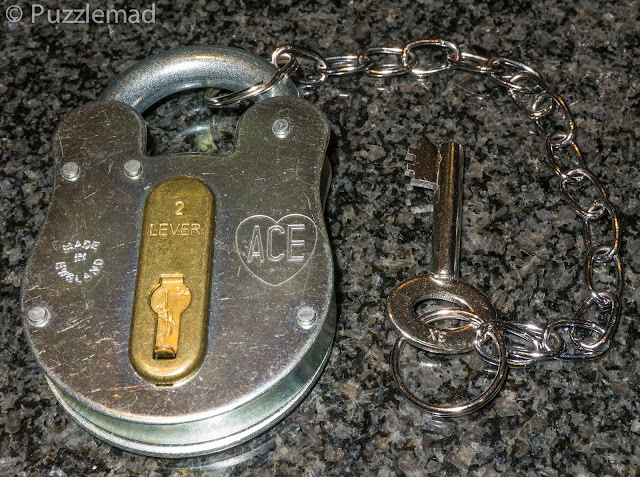 In fact, this IS the best puzzle lock ever made. My conclusion...Rainer's T11 is the most amazing complex lock design ever. So complex that it took me over 6 weeks of constant endeavour to solve it. 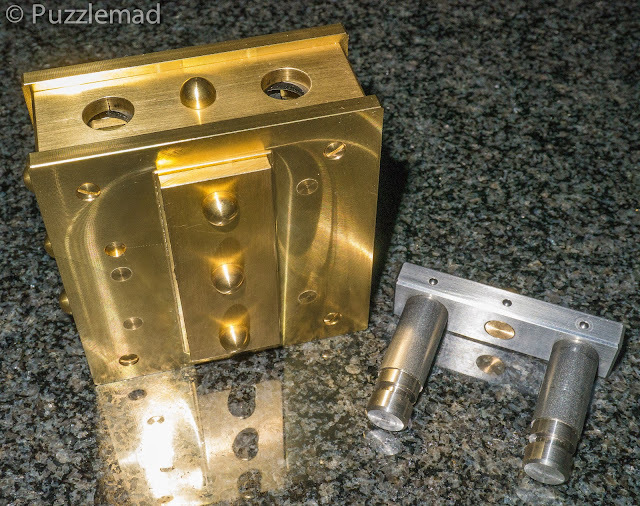 It is a sequential discovery puzzle made of metal and the engineering feat involved is simply staggering. Even though I needed quite a lot of help from my friend, this actually did not detract from the enjoyment of it. Is it worth the huge cost? For me yes. I am not a lock specialist. Hell! I'm not even any good at them! But this puzzle is simply incredible! It is highly likely to be at the top of my "Best of the Year" list next New year's day. Thank you, Rainer, for continuing to design and innovate and thank you, Wil, for allowing me to buy one of the very few you received. Finally, thank you, Shane, for the assistance and encouragement, I could not have done it without you. Also at the IPP, Peter Hajek exchanged the Haleslock number 3 with 100 other puzzlers. I watched them all get handed out whilst I was assisting my friend John Haché. Later that day Shane sidled up to me and handed me a copy of each of the 2 puzzles of his that were being exchanged. 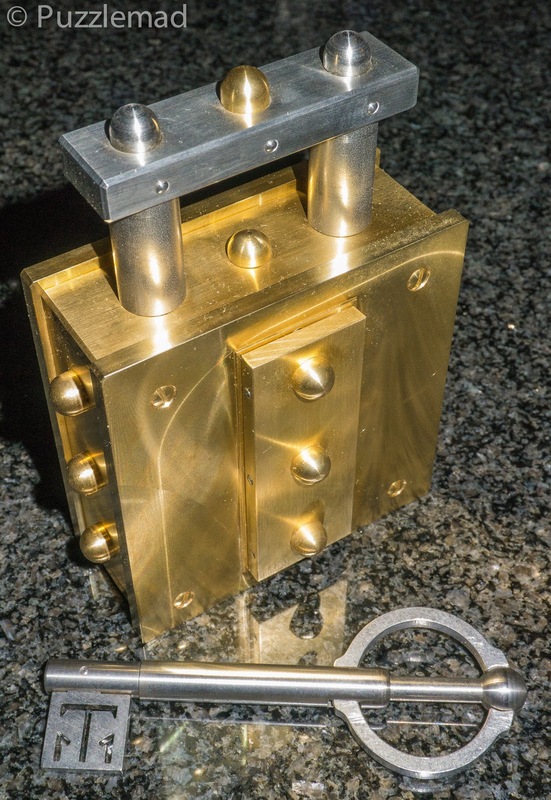 The Haleslock 3 is a chunky lock with a key that screams "insert me and turn". So I did, again, and again, and again. Of course, nothing happened...the lock remained stubbornly shut. I have been working on this on and off for 8 months and surprisingly doing the same thing over and over and over again never seems to work for me. I have absolutely no idea how he did what he did but it is remarkably clever in its simplicity! It is very repeatable and also fun. Simple? Yes! Clever? Yes! Great puzzle? Yes - it kept me busy for 8 months! Finally, I have to mention another puzzle from IPP. Boaz Feldman, the son of the very famous Dan Feldman (of Danlock fame) has taken up the mantle from his dad. He has learned the engineering skills required to subtly alter a lock without it being obvious what has been done. He exchanged a new design called the BLock (Boazlock like Danlock) which is based on a Nabob lock just like the earlier one. Just another padlock? Definitely not! As with most of this type of puzzle, the key is provided and it is mandatory to try the conventional opening technique. Of course, it doesn't work! In fact, the key won't even go into the keyway. It's blocked by something inside. I never did get to solve this myself - I was at a dinner table with the MPP guys when someone handed a copy to Allard to look at. We were all watching when Allard had the Aha! moment and after a few odd little moves he opened it whilst a bunch of us sat there with mouths hanging open! How on earth did Boaz manage that? It is all in front of you and all there to see if you use your eyes and brain properly. Even though I would never be able to unsee the solution, I knew that I needed (yes NEEDED) a copy. I met Boaz in a corridor the following day and I am reliably informed by one of the ladies who attended (a wife of an attendee) that the two of us sounded like a drug dealer and junkie arranging for a fix to be sold. The following day, Boaz sidled up to me with a nice little blue bag and I handed him some cash - yes, just like a drug deal! Just looks like a simple lock - fabulous mechanism! It was with great pleasure that I opened my lock when I got home from IPP and even Mrs S was impressed with the engineering feat and subtlety of the solution! Dan has retired from making locks but Boaz has definitely taken up the family tradition and I cannot wait to see the next one he produces. You do deserve to be there with them mate! The Popplock is up there all on its own and is amongst the best of all puzzles ever made. 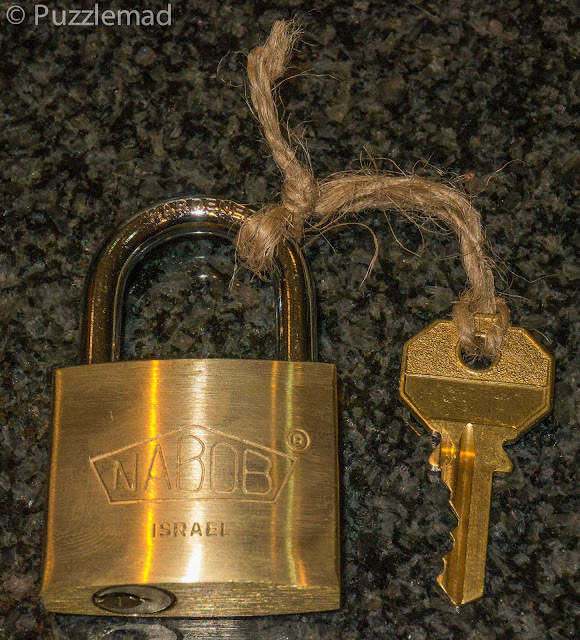 Your ability to modify existing locks so well that it took me 8 months is still quite an achievement! 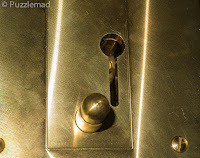 I hope to be deserved to appear in your blog with more puzzles and "good stuff" for the junkies out there. It's MY honor to be mentioned with brilliant designers like Shane and Rainer. Not only are you alongside Shane and Rainer, but you are also in the blog with a certain Dan Feldman too! I look forward to seeing more designs from you in the future. Hi ! 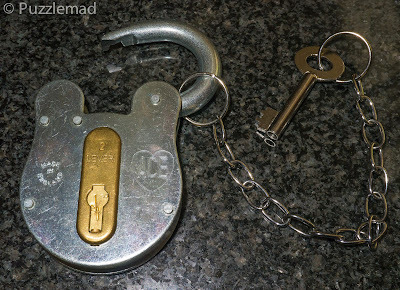 The B-Lock had its success at work too. My colleagues enjoyed solving it, with the help of some little clues. In fact, it was a teamwork, each one solving a part of the solution. Some of them even managed to open it directly with the key, which is normally impossible ! They didn't use force, but they rattled so much that the mechanism eventually aligned itself by mere chance ! Which didn't prevent them to enjoy the real solution after that. I’m surprised it could be opened by shaking because it feels like there is a spring holding it. I look forward to seeing you again in 2020. Hello Kevin... I've given a second try... and it seems that the hidden lock is does not always reset itself completely. If I close the lock, and try to open it at once, the key gets inserted without too much difficulty. 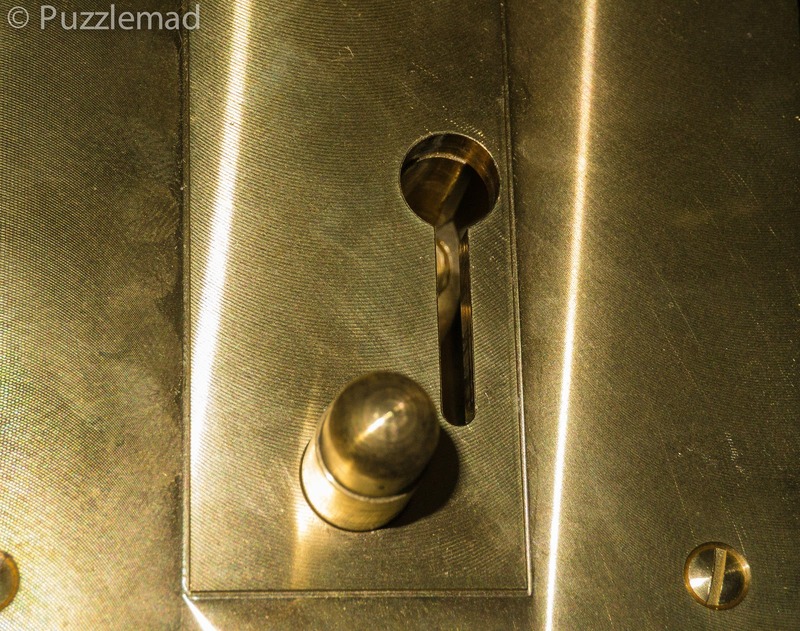 But if I rattle a bit without pushing the key, then it feels like the hidden lock gets completely reset, and the key can't be inserted anymore without finding the solution. That certainly makes sense. I don’t think it detracts from the puzzle at all. Thank Goodness for a Puzzle that Broke on me!